Kanawha - Jaclynne Welch 2, Rylie Stull 5, Zoey Boyles 4, Ashley Reaser 4, Gracie Lively 2. Mineral Wells - Macie Forshey 2, Shyanne Hayes 1, Macy Singer 3, Allison Asbury 5, Auyner Joyce 1. Williamstown - Arissa Burt 6, Addisyn Kerby 10, Reagan Corbett 13. Martin - Hayley Bell 2, Makenzie Brick 1, Lucie Cline 12,Hay-Leah Hall 4. Kanawha - Jaclynne Welch 4, Ashley Reaser 6, Gracie Lively 4, Rylie Stull 5, Zoey Boyles 2. Williamstown - Arissa Burt 2, Reagan Corbett 12, Madilyn Buttrey 2. Mineral Wells - Shyanne Hays 7, Mcie Forshey 4, Macy Singer 4, Reagan Ward 2, Allison Asbury 4. Martin - Lucie Cline 10, Makenzie Brick 4, Hay-Leah Hall 1, Hayley Bell 2. Williamstown – Arissa Burt 6, Addisyn Kerby 2, Reagan Corbett 11, Avie Sprouse 3. 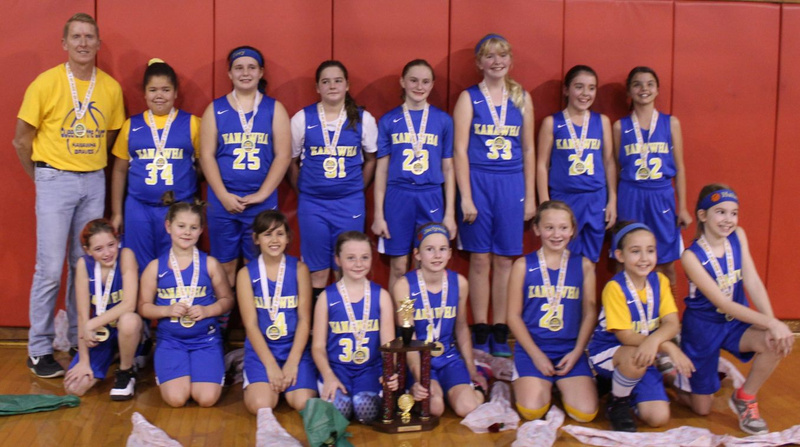 Kanawha – Jaclynn Welch 12, Zoey Boyles 2, Ashley Reaser 6, Gracie Lively 2, Rylie Stull 4. Jeffferson – Daysha Hastings 3, Kay Kay Hester 5. Mineral Wells – Macie Forshey 12, Shyanne Hays 5, Reagan Ward 2, Macy Singer 3, Auyner Joyce 2. Vienna – Karen Davis 2, Sophie Lott 9. Martin – Makenzie Brick 4, Lucie Cline 10, Hay-Leah Hall 2, Isale Minear 2. Madison – Brenan Harvey 6, Olivia Carpenter 4, Kennedy Porter 6. Martin - Lucie Cline 16, Mackenzie Brick 2, Hay-Leah Hall 3. Greenmont - Kylee Maggiacomo 9, Sophia Moser 1. Madison - Brenan Harvey 2, Kennedy Porter 6, Lexi Ratliff 6, Olivia Carpenter 7, Shianne Pose 2. Blennerhassett - Kaitlyn McCartney 1, Leah Snyder 4, Addison Moon 3. Vienna - Sophie Lott 17, Maggie Ice 1, McKenna Mace 2, Karen Davis 2, Baylee Bostaph 2. Fairplains - Emilee Owens 11, Alexy Petty 3. Mineral Wells - Macie Forshey 12, Regan Ward 2, Mace Singer 4, Allison Astbury 4. Williamstown - Anna Cosner 4, Arissa Burt 2, Addisyn Kerby 3, Reagan Corbett 4, Avie Sprouse 1. Gihon - Payten Mackey 7, Callie Wigal 2. Emerson - Kayla Marlow 2, Bailey Ferrebee 2, Megan Roedersheimer 2, Ava Delli-Gatti 12, Lauren Flanagan 6. Criss - Kenslee LeMasters 8, Kalianna Washington 2. Jefferson - Kay Kay Hester 10, Lakin Barker 9, Olivia Kennerly 2, Daysha Hastings 4. Franklin - Taelyn Richards 6, Emily Harlow 2, Kayla Rodriguez 6, Mya Baruwa 4. Kanawha - Jaclynne Welch 4, Rylie Stull 2, Zoey Boyles 5, Ashley Reaser 4, Gracie Lively 9. Neale - Cheyenne Stewart 1, Caylee Kaloko 3, Amya Nzalle 1, Amina Kaloko 2. Neale – Reagan Ashley 4, Caylee Kolako 2. Criss – Kenslee LeMasters 8, Jazlynn Dowler 2, Alyssa Kelley 6. Catholic – Frances Guice 7. Blennerhassett – Kaitlyn McCartney 6, Anniya Powell 2, Leah Snyder 4, Addison Moon 7. 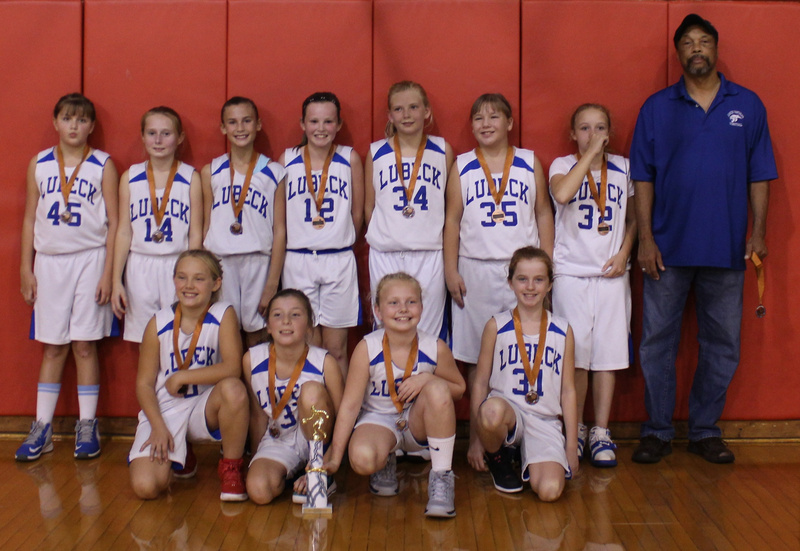 Lubeck – Lillie Hamilton 10, Haley Biddle 4. Waverly – Addison Davis 4, Sophia Thomas 4, Shayle Montgomery 4. McKinley – Bailey Oliver 3. * - Tie-breaker procedure used with head-to-head, bonus points for wins by defeated opponent and then coin flip. Mineral Wells - Macy Singer 10, Macie Forshey 10, Shyanne Hays 8, Reagan Ward 2. Madison - Brenan Harvey 13, Kennedy Porter 8, Olivia Carpenter 1, Karma Hedges 2, Shianne Posey 2. Kanawha - Gracie Lively 10, Jaclynne Welch 2, Zoey Boyles 10, Rylie Stull 4, Jayden Johnson 4, Breanna Bess 2. Catholic - Frances Guice 8, Lillian Rice 2, Gabriela Bowersock 2. Emerson -Lauren Flanagan 6, Brook Miller 2, Lilli Martinez 2, Bailey Ferrebee 2. Eden DeBord 4. Jefferson - Lakin Barker 4, Kay Kay Hester 6, Olivia Kennerly 2. Blennerhassett -Kaitlyn McCartney 6, Anniya Powell 2, Leah Snyder 2, Caitlyn Headlee 2, Addison Moon 3, Amiya Powell 2. Gihon - Sydney Hatcher 1. Williamstown - Arissa Burt 2, Addisyn Kerby 6, Reagan Corbett 4. Vienna - Maggice Ice 2, Sophie Lott 8. Neale - Taleigha Sylvia 3, Amyah Nzalle 2, Cheyanne Stewart 4, Reagan Ashley 4, Amina Kaloka 2. Lubeck - Lillie Hamilton 2. Franklin – Taelyn Richards 8. Waverly – Shayle Montgomery 4. Fairplains – Emilee Owens 18, Laiken Byers 1, Chelsie Lewis 4. McKinley – Bailey Oliver 2, Braelyn Miller 2. Worthington – Ellie Kinnison 2, Natalee Saling 6, Sophia Corbin 2. Criss – Kenslee LeMasters 4, Alyssa Kelley 1. Vienna – Karen Davis 2, Kalea Phillips 2, Sophie Lott 11, Aubrie Kendall 2, Regan Rauh 2. Gihon – Hailey Arbogast 2, Ella Lochary 2. Williamstown – Kylie Sprouse 2, Addisyn Kerby 8, Reagan Corbett 6. Madison – Brenan Harvey 5, Karma Hedges 2, Shianne Posey 2, Olivia Carpenter 2, Kennedy Porter 2. Martin – Lucie Cline 16, Hay-Leah Hall 6. Greenmont – Kylee Maggiacomo 8, Kendall Kimes 2, Brynn Frye 2, Mariah Garrett 2, Natalie Coffman 1. Worthington - Natalie Sailing 8, Sophia Corbin 6, Addison Fluharty 4. Fairplains – Alexy Petty 2, Emilee Owens 25. Franklin – Kayla Rodriguez 1, Alexis Smith 2, Emily Harlow 4, Madison Backus 6. Mineral Wells – Auyner Joyce 6, Shyanne Hays 12, Macy Singer 4, Macie Forshey 10. Emerson – Bailey Ferrebee 5, Lauren Flanagan 11, Eden DeBord 4. Blennerhassett – Kaitlyn McCartney 6, Anniya Powell 4, Amiya Powell 4, Leah Snyder 3, Addison Moon 2. Lubeck – Haley Biddle 6, Lillie Hamilton 4. Kanawha – Gracie Lively 5, Jaclynne Welch 6, Rylie Stull 4, Ashley Reaser 8, Breanna Bess 2, Jayden Johnson 2, Wraith Holt 1. Jefferson – Kay Kay Hester 10, Daysha Hastings 2, Lakin Barker 1. Neale – TaLeigha Sylvia 2, Bella Oldham 1, Reagan Ashley 4, Amina Kaloko 2. Madison - Brenan Harvey 12, Shianne Posey 3, Olivia Carpenter 4, Kennedy Porter 5. Emerson - Lilly Martinez 2, Bailey Ferrebee 3, Ava Delli-Gatti 8, Eden DeBord 6. Mineral Wells - Shyanne Hays 13, Macy Singer 4, Macie Forshey 2, Allison Asbury 2, Auyner Joyce 2. Neale - Bella Oldham 2, Cheyanne Stewart 2. Criss – Kenslee LeMasters 6, Jazlynn Dowler 4, Alyssa Kelley 2. Greenmont – Kylee Maggiacomo 2, Kendall Kimes 2, Chloe Gribble 1. Martin – Lucie Cline 15, Makenzie Brick 8, Hay-Leah Hall 2. McKinley – KurTeace Allen 2, Alysia Fonner 2, Bailey Oliver 2, Braelynn Miller 2. Williamstown – Makaela Bandy 2, Madilyn Buttrey 2, Arissa Burt 2, Addisyn Kerby 4, Reagan Corbett13, Madison Henderson 4, Avie Sprouse 2. Gihon – Peyton Mackey 6. 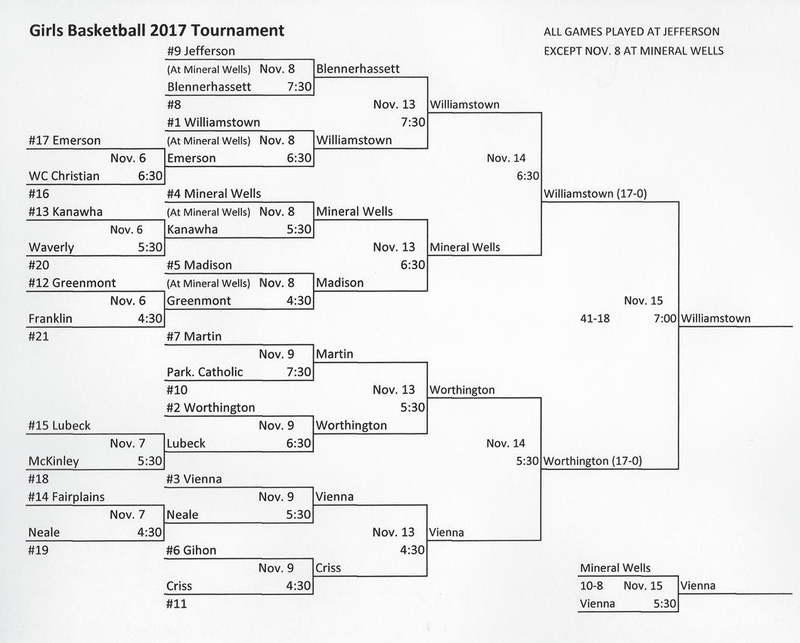 Vienna – Karen Davis 4, Sophie Lott 16, Regan Rauh 2. Lubeck – Alaina Knapp 2, Kenzi Lucas 4. Madison - Lexi Ratliff 6, Brenan Harvey 6, Karma Hedges 2, Olivia Carpenter 4, Kennedy Porter 4. Franklin - Taylin Richards 5, Kayla Rodriguez 2, Emily Harlow 4. Fairplains – Emilee Owens 20. Waverly – Sophia Thomas 4, Addison Davis 3, Shayle Montgomery 4. 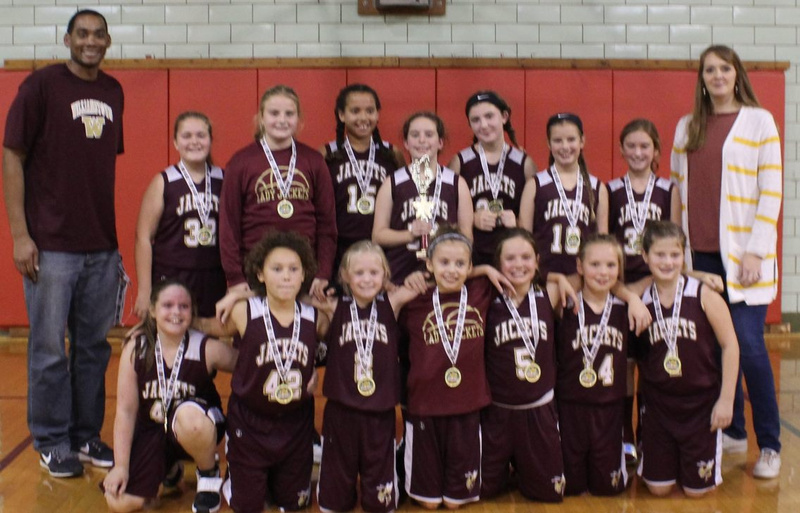 Kanawha – Jaclynne Welch 2, Zoey Boyles 2, Rylie Stull 4, Jayden Johnson 2, Ashley Reaser 5, Chelsey Brannan 2. Worthington – Mia Butterfield 2, Natalee Saling 2, Addison Fluharty 2. Jefferson – Lakin Barker 12, Kay Kay Hester 6, Daysha Hastings 3, Elaina Johnson 2. Blennerhassett – Kaitlyn McCartney 2, Anniyah Powell 4, Leah Snyder 1, Amiyah Powell 2, Addison Moon 8. Greenmont – Natalie Cuffman 4, Kylee Maggiacomo 12, Kendall Kimes 4, Chloe Gribble 2. Catholic – Frances Guice 8. Criss – Kenslee LeMasters 8, Lakyn Brown 2, Jazlynn Dowler 2, Sophia Isaacs 2. McKinley – Alysia Fonner 2, Braelyn Miller 4. Mineral Wells - Macy Singer 13, Shyanne Hays 12, Macie Forshey 10, Auyner Joyce 2, Dakota Wells 2. Blennerhassett - Kaitlyn McCartney 2, Addison Moon 1. Jefferson – Lakin Barker 5, Kay Kay Hester 10. Vienna – Sophie Lott 8, Maggie Ice 2. Madison - Lexi Ratliff 4, Lillian Blair 4, Karma Hedges 2, Chloe Mulligan 2, Olivia Carpenter 6, Kennedy Porter 6, Aubrey Welch 2. Neale - Amyah Nzalle 1, Bella Oldham 3, Stella Davis 4. 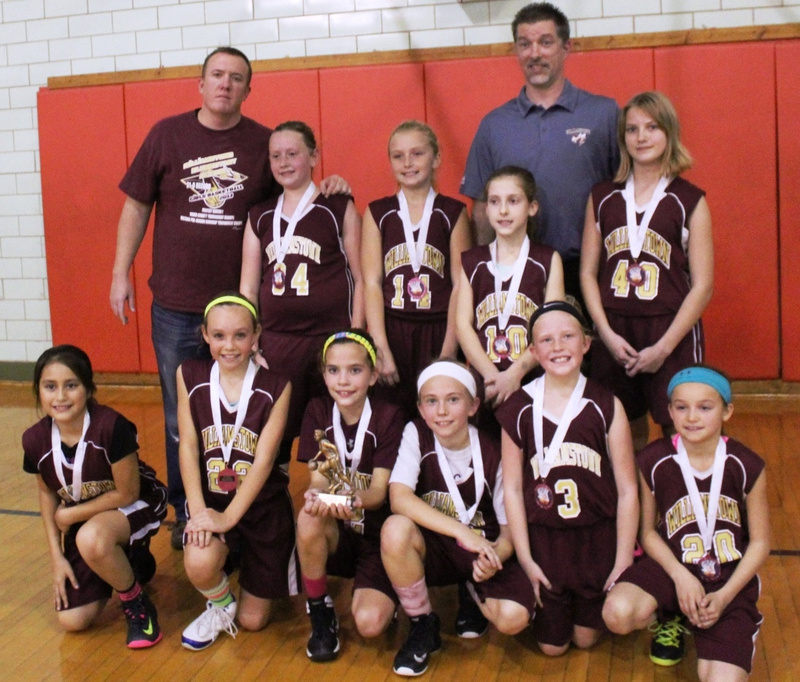 Emerson – Bailey Ferrebee 4, Brooklyn Miller 1, Ava Delli-Gatti 10, Lauren Flanagan 4, Eden DeBord 2. Williamstown – Reagan Corbett 9, Arissa Burt4, Addisyn Kerby 2. Gihon – Payten Mackey 17, Hailey Arbogast 4, Callie Wigal 2. Lubeck – Lillie Hamilton 6, Haley Biddle 2, Sophie Hall 1. Kanawha – Gracie Lively,4 Jaclynne Welch 4, Zoey Boyles 6, Wraith Holt4, Rylie Stull 4, Jayden Johnson 4.Breanna Bess 2, Veronica Cassidy 2. Fairplains – Athena Stack 2, Emilee Owens 13. Catholic – Frances Guice 9, Lillian Rice 2, Gabriela Bowersock 3, Kyra Smith 2. McKinley – KurTeace Allen 6, Bailey Oliver 6, Braelyn Miller 2. Greenmont – Kylee Maggiacomo 11, Natalie Coffman 2, Kendall Kimes 4, Brynn Frye 2, Malia Williams 2. Worthington – Ellie Kinnison 5, Sophia Corbin 6. 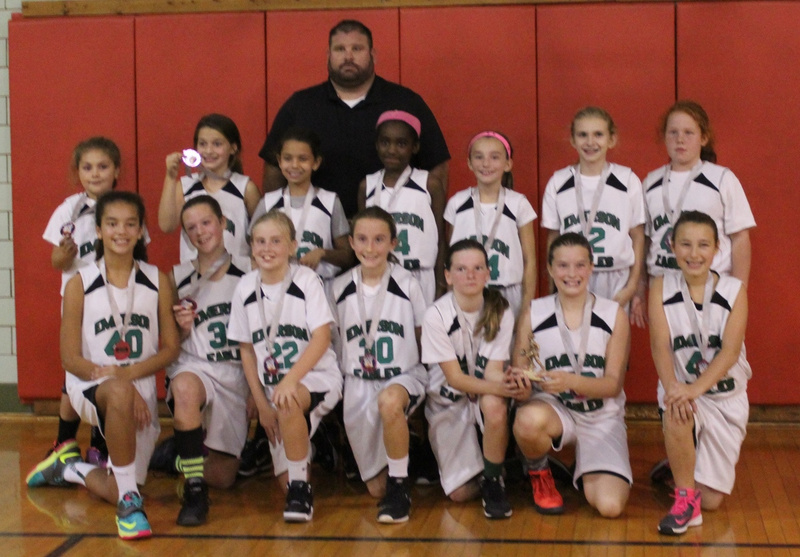 Franklin – Taylin Richards 10, Kayla Rodriguez 2, Emily Harlow 2, Madison Backus 2, Natalie Parsons 2. Criss – Kenslee LeMasters 5. Martin – Lucie Cline 11, Makenzie Brick 4, Hay-Leah Hall 2, Hayley Bell 2. Waverly – Addison Davis 6, Shayle Montgomery 2. Mineral Wells – Reagan Ward 8, Allison Asbury 8, Shyanne Hays 7, Macy Singer 6, Auyner Joyce 2, Addison Smith 2, Macie Forshey 2. Vienna – Sophie Lott 8, Lilly Pfeifer 2. Williamtown – Madilyn Buttrey 1, Ava Sprouse 1, Anna Cosner 2, Addisyn Kerby 6, Reagan Corbett 7. Lubeck – Kenzi Lucas 1, Lillie Hamilton 2, Haley Biddle 2. Criss – Kenslee LeMasters 2, Sophia Isaacs 4, Alyssa Kelley 2. Waverly – Addison Davis 2, Shayle Montgomery 4. Madison – Lexi Ratliff 6, Brenan Harvey 14, Olivia Carpenter 2, Kennedy Porter 4, Shianne Posey 4. Blennerhassett – Caitlyn Headlee 4, Kaitlyn McCartney 6, Anniya Powell 2. Kanawha – Gracie Lively 2, Jaclynne Welch 10, Zoey Boyles 6, Rylie Stull 4. Greenmont - Kylee Maggiacomo 2, Kendall Kimes 4, Chloe Gribble 6, Mariah Garrett 2. Gihon – Payten Mackey 20, Hailey Arbogast 2. Jefferson – Kay Kay Hester 13, Lakin Barker 6. Emerson – Bailey Ferrebee 4, Ava Delli-Gatti 2, Lauren Flanagan 11, Eden DeBord 4. Martin – Lucie Cline 12, Hayley Bell 6, Hay-leah Hall 2. Fairplains – Emilee Owens 8, Larissa Burks 2. McKinley – KurTeace Allen 6, Alysia Fonner 2, Bailey Oliver 4, Braelyn Miller 2. 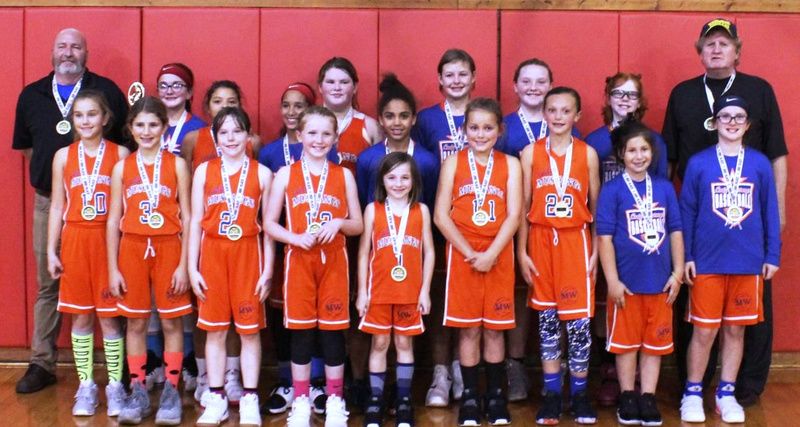 Worthington – Ellie Kinnison 5, Natalee Saling 3, Sophia Corbin 2. Franklin – Madison Backus 4, Emily Harlow 4, Taylin Richards 10. Catholic – Frances Guice 6. Williamstown – Arissa Burt 4, Addisyn Kerby 6, Reagan Corbett 6, Madilyn Buttrey 2, Anna Cosner 2, Kylie Sprouse 2. Neale – Cheyenne Stewart 2, Reagan Ashley 1, TaLeigha Sylvia 2, Amyah Nzalle 1. Madison – Brenan Harvey 6, Kennedy Porter 4, Posey 3, Ratliff 5, Carpenter 8. Vienna – Sophie Lott 12. Jefferson – Lakin Barker 6, Daysha Hastings 2, Kay Kay Hester 8, Olivia Kennerly 2. Lubeck – Lillie Hamilton 2, Haley Biddle 2, Alaina Knapp 2, Kiley Small 2. Mineral Wells – Shyanne Hays 16, Macy Singer 13, Jaiden Vargas 2. Gihon – Alyssa VanFossen 2, Payten Mackey 1. Emerson – Emma Miller 2, Lilli Martinez 2, Bailey Ferrebee 6, Ava Delli-Gatti 4, Savannah Martin 2, Lauren Flanagan 4, Peyton Rogers 4, Eden DeBord 4. Blennerhassett – Isabel Hardy 2, Caitlyn Headlee 1, Kaitlyn McCartney 2. Kanawha – Gracie Lively 2, Jaclynn Welch 6, Zoey Boyles 8, Wraith Holt 4, Rylie Stull 6, Chelsey Brannan 2. Martin – Lucie Cline 4, Lilly Fluharty 4, Hay-leah Hall 3. Franklin – Mya Baruwa 3, Emily Narlow 2, Taylin Richards 6. Worthington – Ellie Kinnison 4, Natalie Saling 2, Addison Fluharty 4. Waverly – Addison Davis 8, Shayle Montgomery 11, Alexis Stephens 2, Sophia Perkins 2. Catholic – Frances Guice 9, Aubree Conzo 2. Greenmont – Natalie Coffman 5, Klee Maggiacomo 4, Sophia Moser 2, Kendall Kimes 2. McKinley – Braelyn Oliver 4, Braelyn Miller 4, KurTeace Allen 1. Criss – Kenslee LeMasters 2, Jazlynn Dowler 2, Sophia Isaacs 1, Alyssa Kelley 7. Fairplains – Emilee Owens 4. Blennerhassett – Caitlyn Headlee 2, Addison Moon 10, Kaitlyn McCartney 4, Anniya Powell 2, Leah Snyder 2. Neale – Talaigha Sylvia 2, Amyah Nzalle 4, Amina Kaloko 2. Williamstown – Gracie Montgomery 2, Reagan Corbett 7, Avie Sprouse 4. Jefferson – Kay Kay Hester 5, Lakin Barker 3, Olivia Kennerly 2. Martin – Lucie Cline 12, Hay-Leah Hall 7, Makenzie Brick 2. Criss – Kenslee LeMasters 6. Waverly – Addison Davis 8, Shayle Montgomery 2, Alexis Stephens 4. Worthington – Ellie Kinnison 4, Natalie Saling 2, Addison Fluharty 4, Slophia Corbin 2. Franklin – Taylin Richards 12, Mya Baruwa 3, Karli Short 2, Emily Harlow 3. Greenmont – Natalie Coffman 9, Sophia Moser 1. Fairplains – Chelsie Lewis 2, Emilee Owens 19, Alexy Petty 6. Catholic – Frances Guice 4, Gabby Bowersock 2. Madison - Lexi Ratliff 8, Brenan Harvey 14, Shianne Posey 2, Kennedy Porter 2. Gihon -Payten Mackey 10, Hailey Arbogast 4, Callie Wigal 2. Kanawha – Gracie Lively 8, Ashley Reaser 8, Rylie Stull 6, Jaclynne Welch 2. McKinley – Braelyn Miller 4, Aaliyah Brookover 2, Bailey Oliver 4, Taylor Gray 4, KurTeace Allen 4. Mineral Wells – Shyanne Hays 14, Macy Singer 10, Auyner Joyce 2, Macie Forshey 6, Mary Stout 2. Lubeck – Lilly Hamilton 1, Kiley Small 1, Kenzi Lucas 2. 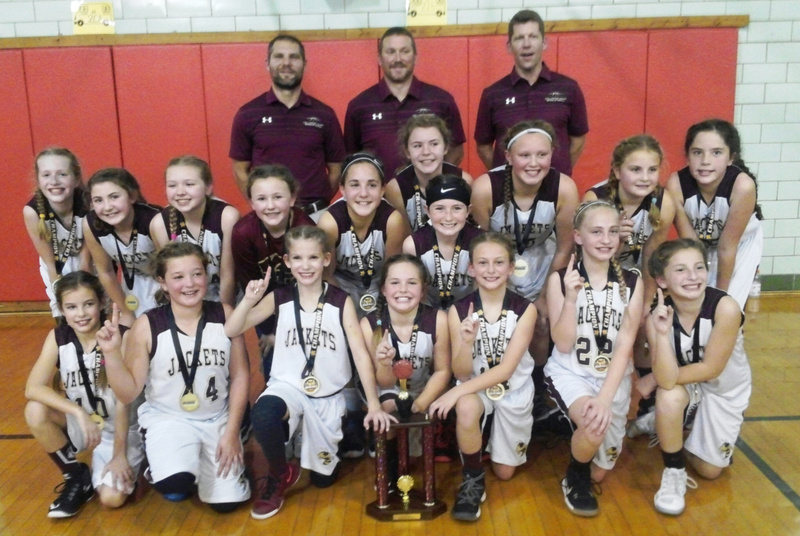 Emerson – Tess Roedersheimer 2, Bailey Ferrebee 8, Brooklyn Miller 4, Ava Delli-Gatti 9, Lauren Flanagan 6, Eden DeBord 4. Vienna – Sophie Lott 7, Maggie Ice 2. Martin – Lucie Cline 16, Makenzie Brick 2, Iselie Linear 2, Lilly Fluharty 2. Catholic – Frances Guice 4. Franklin – Madison Backus 2, Alexis Smith 2, Mya Baruwa 6, Taylin Richards 3. McKinley – Alysia Fonner 4, Bailey Oliver 4. Waverly – Shayle Montgomery 2. Fairplains – Emilee Owens 13, Alexy Petty 2, Destiny Speece 2. Worthington – Ellie Kinnison 6, Sophia Corbin 2. Mineral Wells - Macy Singer 7, Macie Forshey 7, Allison Asbury 6, Shyanne Hays 4 , Auyner Joyce 2. Jefferson - Kay Kay Hester 10, Lakin Barker 2, Jessalynn Nelson 2. Madison - Brenan Harvey 12, Shianne Posey 2, Lexie Stevens 2, Chloe Mulligan 2, Olivia Carpenter 2, Kennedy Porter 10, Aubrey Welch 2. Lubeck - Lillie Hamilton 6, Gabriela Lemus 4. Vienna 14 – Maggie Ice 4, Sophie Lott 8, Lily Farinash 2. Neale 6 – Reagan Ashley 2, Amyah Nzalle 4. Kanawha – Gracie Lively 6, Jaclynne Welch 8, Zoey Boyles 6, Rylie Stull 6, Ashley Reaser 3, Brenna Bess 2, Veronica Cassidy 4, Winteny Varner 2. Criss – Kenslee LeMasters 2, Lakyn Brown 2. Emerson – Bailey Ferrebee 4, Ava Delli-Gatti 6, Lauren Flanagan 11, Eden DeBord 6. Gihon – Sydney Hatcher 1, Hailey Arbogast 2, Shannah Caplinger 2. Williamstown – Addison Kerby 2, Reagan Corbett 11, Arissa Burt 4, Gracie Montgomery 2. Blennerhassett – Caitlyn Headlee 2, Amiya Powell 2, Anniya Powell 1. Vienna – Sophie Lott 12, Baylee Bostaph 2. Blennerhassett – Addison Moon 4, Anniya Powell 3, Caitlyn Headlee 2. Criss – Kenslee LeMasters 14. Catholic – Frances Guice 8, Gabby Bowersock 2. Fairplains – Chelsie Lewis 2, Emilee Owens 14. Greenmont – Natalie Coffman 8, Kylee Maggiacomo 2. Madison – Lexi Ratliff 3, Brenan Harvey 6, Karma Hedges 2, Olivia Carpenter 6, Kennedy Porter 8, Aubrey Welch 4. Jefferson – Lakin Barker 4, Daysha Hastings 1, Kay Kay Hester 2, Olivia Kennerly 3. Martin – Lucie Cline 14, McKensie Brick 4, Hay-Leah Hall 2, Lilly Fluharty 2. Worthington – Addison Fluharty 6, Natalee Saling 6, Lilly Lowther 4. McKinley – Kur-Teace Allen 6, Bailey Oliver 4. Waverly – Addison Davis 1. Mineral Wells - Shyanne Hays 12, Macy Singer 10, Macie Forshey 2. Williamstown - Addisyn Kerby 3, Madilyn Buttrey 2. 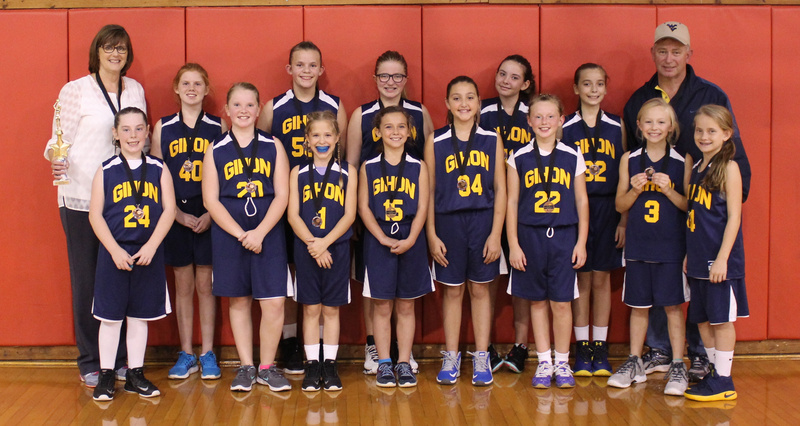 Gihon – Payten Mackey 10, Hailey Arbogast 4. Neale – TaLeigha Sylvia 2, Saige Ashcroft 2, Amina Kaloko 2. Emerson – Lilly Martinez 2, Ava Delli-Gatti 8, Lauren Flanagan 8, Edna DeBord 10, Tess Roedersheimer 4, Bailey Ferrebee 4, Isabella Bowman 2. Lubeck – Kiley Small 1, Haley Biddle 5. Kanawha – Gracie Lively 2, Jaclynne Welch 6, Rylie Stull 2, Ashley Reaser 8, Breanna Bess 2. Franklin – Madison Backus 4, Kayla Rodriguez 2. Madison - Lexi Ratliff 3, Brenan Harvey 12, Arielle Barker 2, Karma Hedges 4, Shianne Posey 4, Olivia Carpenter 4, Kennedy Porter 6. Waverly - Addison Davis 4, Shayle Montgomery 8, Sophia Thomas 4. 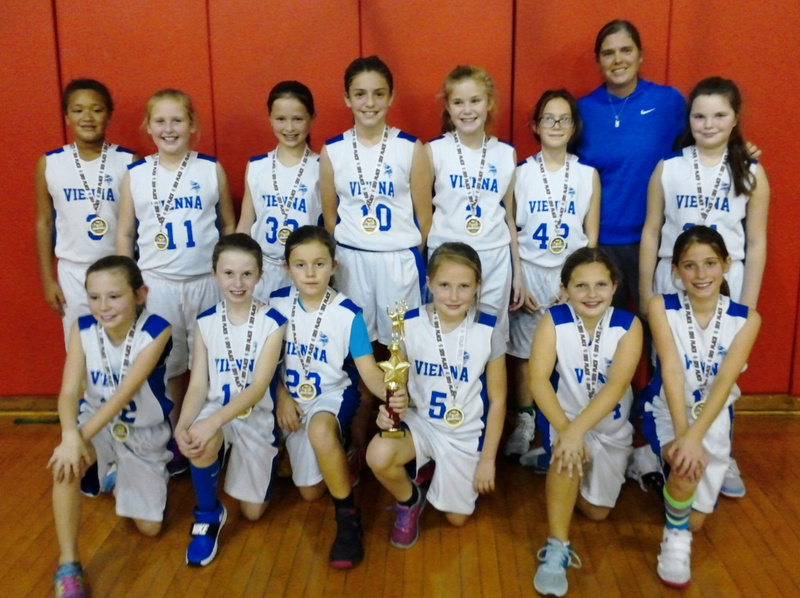 Vienna – Sophie Lott 10, Lily Farinash 4, Baylee Bostaph 2, Karen Davis 2, McKenna Mace 2, Maggie Ice 2. Catholic – Frances Guice 5, Gabby Bowersock 2. Emerson – Ava Delli-Gatti 6, Lauren Flanagan 19, Lilli Martinez 2, Bailey Ferrebee 6, Eden DeBord 4. Fairplains – Emilee Owens 12. Gihon – Payten Mackey 8, Sydney Hatcher 2, Hailey Arbogast 2, Izzy Deguzman 2. Worthington – Sophia Corbin 2, Ellie Kinnison 1. Mineral Wells – Shyanne Hays 12, Macy Singer 10, Reagan Ward 6, Kylee Litton 2, Allison Asbury 2, Auyner Joyce 2, Mary Stout 2. Franklin – Kayla Rodriguez 3, Mya Baruwa 2, Natalie Parsons 2, Kali Daniels 1. 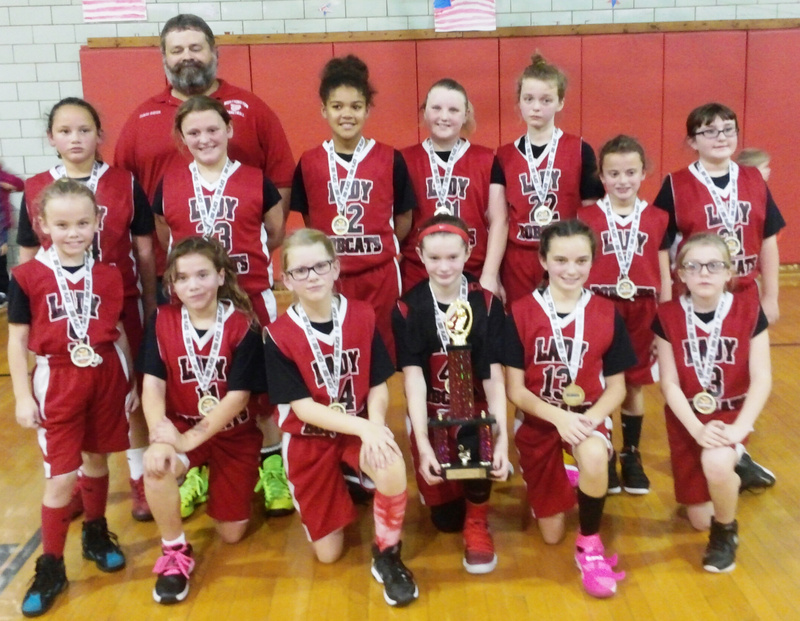 Blennerhassett – Kaitlyn McCartney 4, Amiya Powell 2, Anniya Powell 8, Addison Moon 2, Caitlyn Headlee 2. Criss – Kenslee LeMasters 8, Jazlynn Dowler 4, Alyssa Kelley 2. Martin – Lucie Cline 10, Hayley Bell 4. Neale – Reagan Ashley 2, Amina Kaloko 2, Cheyanna Stewart 2, Amyah Nzalle 2, Taleigha Sylvia 2. 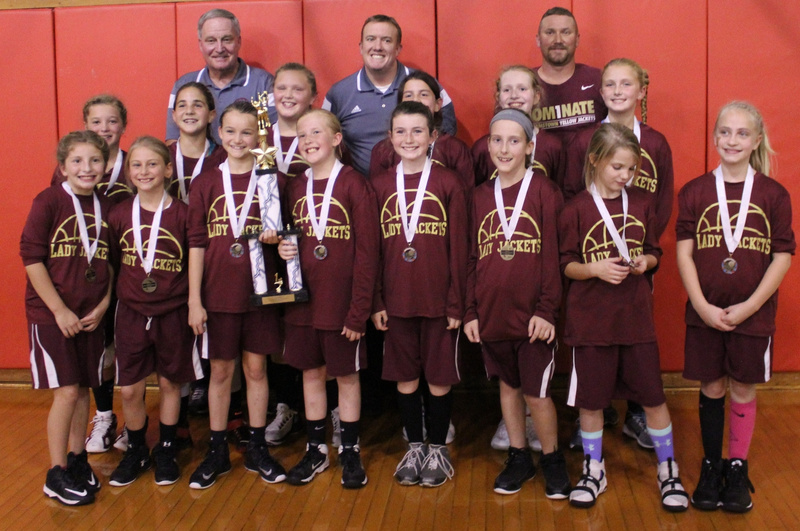 Kanawha – Gracie Lively 2, Jaclynne Welch 12, Zoey Boyles 10, Rylie Stull 6. Williamstown – Arissa Burt 6, Addisyn Kerby 2, Reagan Corbett 1. Greenmont – Natalie Coffman 2, Kylee Maggiacomo 8, Kendall Kimes 2, Alyssa Daugherty 2. Lubeck – Lillie Hamilton 4, Kenzi Lucas 2. Jefferson – Lakin Barker 8, Dasha Hastings 4, Kay Kay Hester 6, Olivia Kennerly 2. McKinley – KurTeace Allen 2, Bailey Oliver 2, Braelyn Miller 5. Jefferson – Lakin Barker 8, Dasha Hastings 5, Kay Kay Hester 9, Olivia Kennerly 4, Jessalynn Nelson 2. Criss – Kenslee LeMasters 12, Shailah Rogers 2, Jazlynn Dowler 2. Gihon – Payten Mackey 11, Hailey Arbogast 8, Izzy Deguzman 1. Fairplains – Emilee Owens 8, Larissa Burke 4, Chelsie Lewis 1. Emerson – Bailey Ferrebee 4, Ava Delli-Gatti 8, Lauren Flanagan 8, Eden DeBord 5. Greenmont – Brynn Frye 2, Lylee Maggiacomo 8. Neale – Reagan Ashley 4, Cheyanna Stanley 2, Talaiyah Sylvia 2. McKinley – Alysia Fonner 2, Braelyn Miller 3. Williamstown – Reagan Corbett 6, Arissa Burt 4, Kylie Sprouse 2, Anna Cosner 2, Elli Hanlon 2, Corell Reck 2. Kaylyn Emigh 4, Makaela Bandy 2. Catholic – Frances Guice 2, Audrey Smith 5. Vienna – Sophie Lott 15, McKenna Mace 3. Waverly – Shayle Montgomery 6. Franklin – Taylin Richards 15, Emily Harlow 2. Blennerhassett – Kaitlhn McCartney 7, Anniya Powell 2, Addison Moon 6. Mineral Wells – Shyanne Hays 7, Macy Singer 2, Reagan Ward 2, Allison Asbury 2. Kanawha – Zoey Boyles 4, Rylie Stull 3, Wraith Holt 2, Ashley Reaser 2, Gracie Lively 1. Martin - Lucie Cline 12, Makenzie Brick 2, Hay-leah Hall 2, Hayley Bell 2. Lubeck - Lillie Hamilton 8, Alaina Knapp 2, Kiley Small 4. Blennerhassett – Kaitlyn McCartney 2, Anniya Powell 2, Leah Snyder 2. McKinley – Bailey Oliver 2. Mineral Wells – Shyanne Hays 8, Macy Singer 8, Macie Forshey 4, Allison Asbury 6. Criss – Kenslee LeMasters 2. Franklin – Taylin Richards 10, Kayla Rodriguez 2, Emily Harlow 2, Madison Backus 2. Williamstown – Kylie Sprouse 2, Addison Kerby 6, Reagan Corbett 5. Rylie Stull 4, Ashley Reeser 7. Vienna – Sophie Lott 15. Jefferson – Lakin Barker 8, KayKay Hester 6, Olivia Kennerly 4. Martin – Lucie Cline 10, Kay-Leah Hall 4. Madison – Lillian Blair 2, Shianne Posey 2, Olivia Carpenter 2, Brenan Harvey 10, Kennedy Porter 6, Karma Hedges 4, Adrian Hendershot 2. Greenmont – Natalie Coffman 4, Kylee Maggiacomo 6, Sophia Moser 2, Kendall Kimes 8. Neale – Amyah Nzalle 2, Reagan Ashley 6, Amina Kaloko 1. Gihon – Payten Mackey 16, Shannah Caplinger 2, Hailey Arbogast 2, Alyssa Vanfossen 2. Waverly – Shayle Montgomery 2, Addison Davis 2, Skylar Hart 2. Fairplains – Trinity Hardman 2, Emilee Owens 14. Lubeck – Lillie Hamilton 8, Kyra Bell 2. Emerson – Emma Miller 2, Lilly Martinez 4, Bailey Ferrebee 4, Meg Roedersheimer 2, Ava Delli-Gatti 10, Lauren Flanagan 10, Peyton Rogers 2, Eden DeBord 4. Worthington – Sophia Corbin 2, Mia Butterfield 2. Mineral Wells – Shyanne Hays 11, Allison Asbury 8, Reagan Ward 6, Macy Singer 2, Maci Forshey 2. McKinley – KurTeace Allen 4, Braelyn Miller 1. Franklin – Taelyn Richards 5, Mya Baruwa 4, Kayla Rodriguez 2. Williamstown – Madilyn Buttrey 4,Anna Cosner 10, Addisyn Kerby 4, Lauren Deem 4, Reagan Corbett 4, Makaela Bandy 2, team 2. Criss – Kenslee LeMasters 11, Sophia Isaacs 2, Shailah Rogers 2. Madison – Olivia Carpenter 4, Brenan Harvey 4, Kennedy Porter. Aubrey Welch 2, Shianne Posey 2, Lexi Ratliff 1. Fairplains – Larisa Burke 2, Emilee Owens 26. Neale – Amina Kaloka 2, Reagan Ashley 4, Amya Nzalle 4, TaLeigha Sylvia 3. Jefferson - Lakin Barker 9, KayKay Hester 8, Daysha Hastings 7.Greenmont - Natalie Coffman 3, Kylee Maggiocomma 2, Kendall Kimes 6, Sophia Moser 6. Gihon – Payton Mackey 12, Hailey Arbogast 2, Alyssa Vanfossen 2, Izzy Deguzman 2. Martin – Lucie Cline 8Makenzie Brick 6, Hay-leah Hall 4, Iselie Minear 1. Blennerhassett – Anniya Powell 5, Camryn McLain 2. 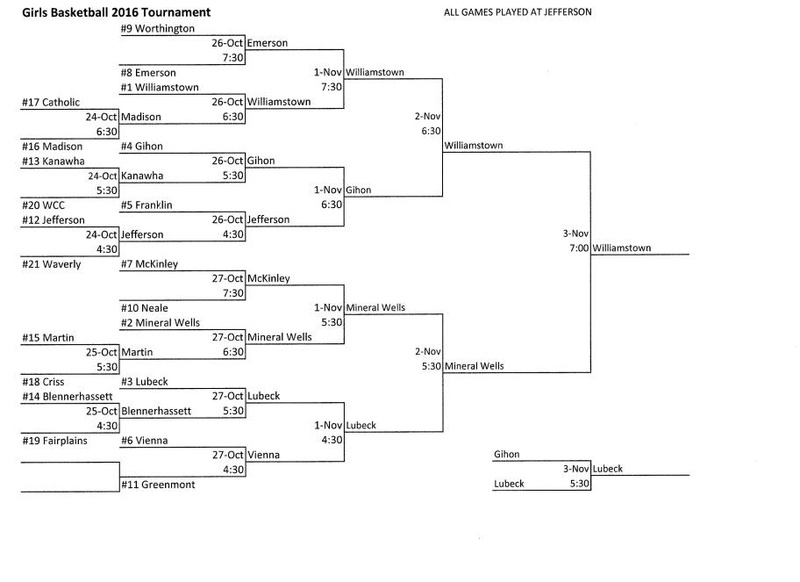 Worthington – Addison Fluharty 4, Ellie Kinnison 2, Natallee Saling 4. Lubeck – Lillie Hamilton 4, Haley Biddle 2. 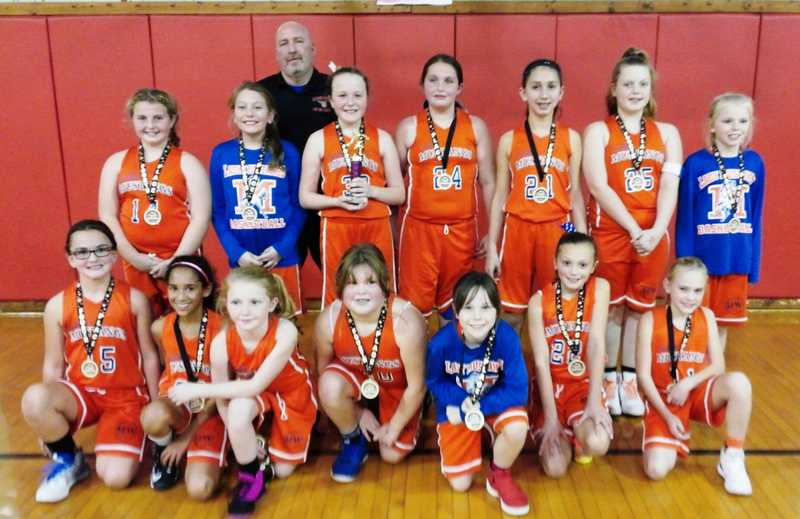 Emerson – Kayla Marlow 4, Bailey Ferrebee 8, Emma Miller 2, Ava Delli-Gatti 8, Savannah Martin 4, Lauren Flanagan 14, Peyton Rogers 2, Eden DeBord 4. Waverly – Addison Davis 2, Shayle Montgomery 8. Williamstown – Makaela Bandy 1, Anna Cosner 2, Arissa Burt 5, Gracie Montgomery 4, Reagan Corbett 17, Madison Henderson 2, Elli Hanlon 2, Avie Sprouse 1. Vienna – Sophie Lott 18, Aubrie Kendall 2, Maggie Ice 2, McKenna Mace 4. Criss – Kenslee LeMasters 8, Alyssa Kelley 2. 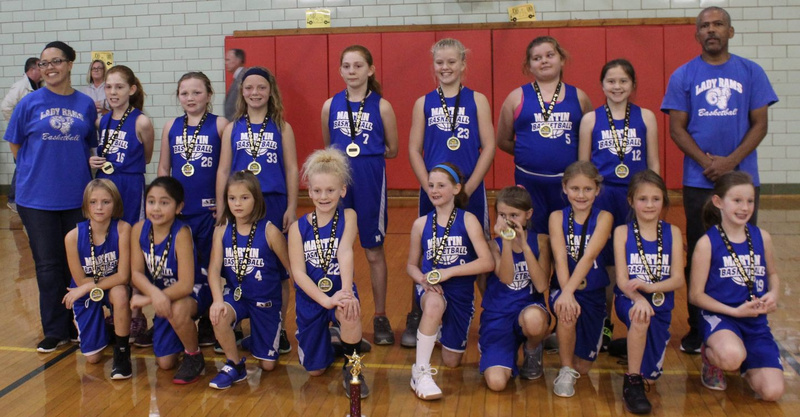 Kanawha – Zoey Boyles 4, Rylie Stull10, Breanna Bess 2, Chelsey Brannon 2, Jaclynne Welch 4. Gihon – Lilly Traugh 2, Alyssa Vanfossen 2, Payton Mackey 2. Martin - Lucie Cline 18. Franklin - Taylin Richards 2, Kayla Rodriguez 2, Mya Baruwa 5, Madison Backus 2, Natalie Parsons 2. Lubeck – Haley Biddle 2, Lillie Hamilton 8, Alaina Knapp 2, Gabriela Lemus 2. Waverly – Addison Davis 5, Shayle Montgomery 4. Mineral Wells – Shyanne Hays 7, Macy Singer 7, Auyner Joyce 6, Maci Forshey 4, Allison Asbury 2, Kylee Litton 2, Reagan Ward 1. Martin – Lucie Cline 10. Worthington – Addison Fluharty 2, Ellie Kinnison 6, Kendra Richards 2, Noel Dooley 2. Neale – Reagan Ashley 6, Cheyenne Stewart 2. Emerson – Ava Delli-Gatti 12, Bailey Ferrebee 6, Brooklyn Miller 2, Lauren Flanagan 2, Eden DeBord 8, Tess Roedersheimer 2, Lilly Martinez 2, Meg Roedersheimer 2, Isabella Bowman 2. 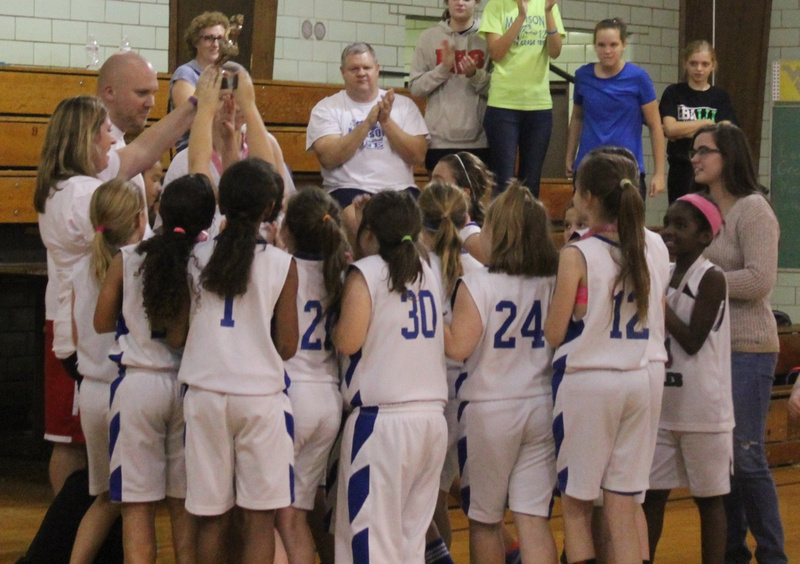 Blennerhassett – Caitlyn Headlee 4, Kaitlyn McCartney 1, Anniya Powell 4. 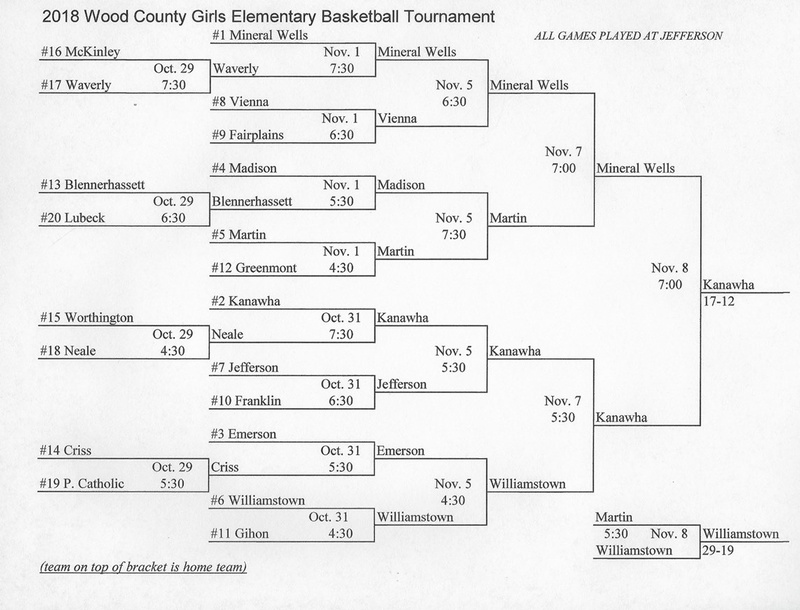 Jefferson – KayKay Hester 12, Dasha Hastings 6, Lakin Barker 4. Fairplains – Emilee Owens 19, Alexy Petty 2. Worthington – Bryce Smith 6 4-7 16, Abby Read 1 0-2 2. TOTALS 7 4-9 18. Williamstown – Ava Lightfritz 1 0-2 2, Olivia Bayer 1 0-0 2, Kylie Sprouse 1 0-0 2, Izy Zide 0 0-2 0, Faith Pickens 10-0 2, Annabelle Haught 4 0-0 8, Reagan Corbett 1 0-0 2, Kiersten Kerby 1 0-0 2, Kyndra Johnson 6 1-2 13, Becca Shamblin 4 0-3 8. TOTALS 20 1-9 41. Mineral Wells – Katie Cline 1 0-0 2, Shyanne Hays 0 0-2 0, Marissa Hendershot 1 0-0 2, Farrah Yost 2 0-0 4. TOTALS 4 0-2 8. Vienna – Emma Kiger 1 0-0 2, Jadyn Colrove 2 2-4 6, Sophie Lott 1 0-0 2. TOTALS 4 2-4 10. 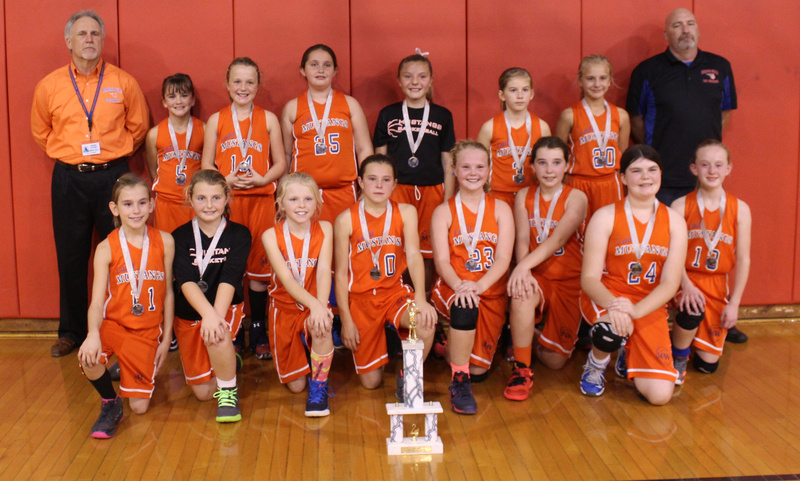 Worthington – Bryce Smith 12, Ellie Hines 4, Ciara Elkins 4, Rhylee Baldwin 4, Madison Kincaid 2. Vienna – Jadyn Colgrove 9, Sophie Lott 12, Leila Noland 4. 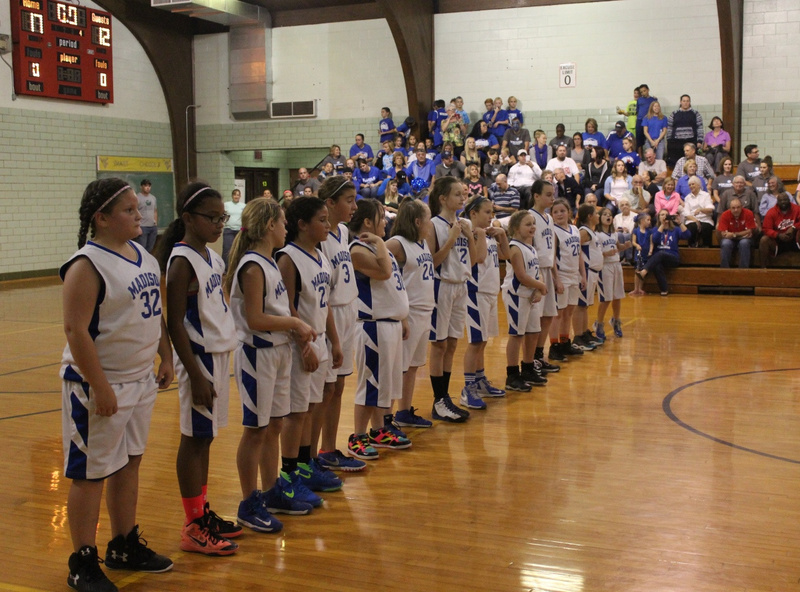 Williamstown – Kyndra Johnson 7, Ava Lightfritz 4, Alyssa Sauro 2, Olivia Bayer 4, Becca Shamblin 2, Faith Pickens 1. Mineral Wells – Farrah Yost 4, Katie Cline 2, Marissa Hendershot 4, Shyanne Hays 2. Vienna – Sophie Lott 10, Abigail Lynch 1, Jadyn Colgrove 11, Meredith Carter 2, Kylee MaggiaComo 2. Criss 0 Ella Eaves 2, Kaleigh Rexroad 2. 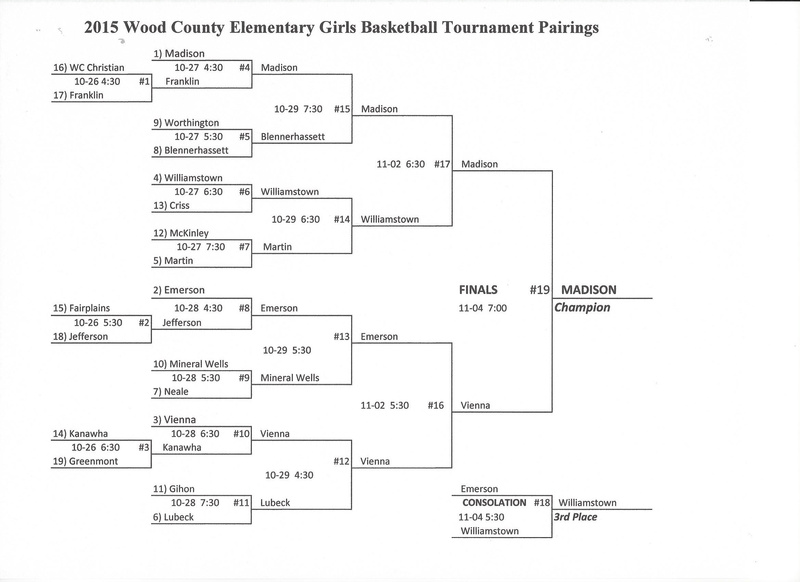 Worthington – Bryce Smith 13, Madison Kincaid 6, Rhylee Baldwin 4, Ellie Hines 2. Martin – Lakota Fluharty 8, Sarah Barnes 2, Lucie Cline 6, Katylynn Whitacre 2. Mineral Wells – Shyanne Hayes 6, Katie Cline 4, Marissa Hendershot 2, Macey Singer 2. Madison – Brenan Harvey 4, Nevaeh Vansickle 2, Lilly Latham 4, Kennedy Porter 3. 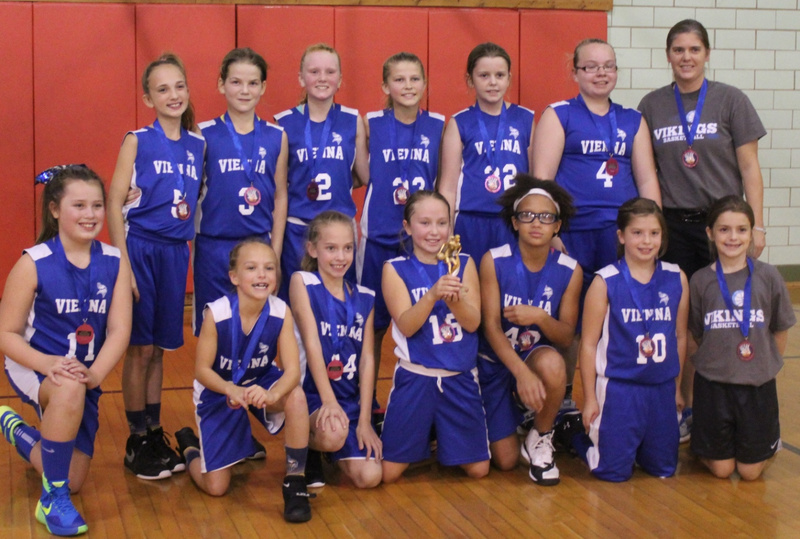 Williamstown – Ava Lightfritz 4, Izy Zide 1, Becca Shamblin 6, Kyndra Johnson 7, Kiersten Kerby 4, Alyssa Sauro 1, Olivia Bayer 2, Faith Pickens 2, Addie Kerby 2, Reagan Corbett 2. Criss – Kaleigh Rexroad 7, Kenslee LeMasters 1, Ella Eaves 2. Gihon – Payton Mackey 2, Brylee Hatcher 3, Kay’Viona Robinson 1. Vienna – Jadyn Colgrove 21, Emma Kiger 2, Sophie Lott 2. Neale – Jillian Nay 8, Mollie Whitecotton 4, Ella Thompson 1. Worthington – Bryce Smith 20, Rhylee Baldwin 4, Ella Hines 4, Madison Kincaid 4, Ciara Elkins 2, Sophia Corbin 2. Lubeck – Alisha Ramme 2, Gabby Lemus 2, Haley Biddle 2. Martin – Luci Cline 8, Lakota Fluharty 8, Sarah Barnes 4, Jetta Wright 2. Catholic – Neela Perez 12, Adriana Payne 2. Madison – – Brenan Harvey 1, Lilly Latham 3, Kennedy Porter 4. Greenmont – Hilde Rummer 2, Kylie Conley 2, Isabelle White 3. Mineral Wells – Katie Cline 2, Shyanne Hays 10, Allison Ashley 2, Farrah Yost 6. Kanawha – Jaclynne Welch 3, Gracie Lively 2, Alyson Monk 3. Williamstown – Olivia Bayer 2, Izy Zide 1, Faith Pickens 1, Sydney Anderson 4, Addie Kerby 2, Annabelle Haught 8, Kiersten Kerby 2, Becca Shamblin 4, Kyndra Johnson 4. Emerson – Audrianna Medina 2, Ava Delli-Gatti 2, Peyton Rogers 2. Blennerhassett – Ava VanDyke 4, Roxie Sprague 8, Anniya Powell 2, Hollie Smith 2. Jefferson – Anyiah Spencer 6, Nastasia Miller 4. Neale – Jillian Nay 6, Ella Thompson 4, Ashley Reaser 2. Fairplains – Chloe Smarr 2, Emilee Owens 5, Karlie Bradley 4. Lubeck – Alisha Ramme 3, Emilee Moyers 2, Lillie Hamilton 1, Kyrstin Boso 2. McKinley – Suzanne Lyons 3, Braelyn Miller 5. Greenmont – Peyton Louden 4, Kylie Conley 4, Natalie Jones 2, Isabelle White 2. Franklin – Isa Merinar 2, Taelyn Richards 3, Kayla Rodriguez 2. Kanawha - Jaclynne Welch 6, Haley Stull 4, Geneva Whitlatch 1, Morgan McFee 2, Rylinn Stull 2, Alyson Monk 5. Waverly – Ashtyn McIntyre 4, Shayle Montgomery 2. 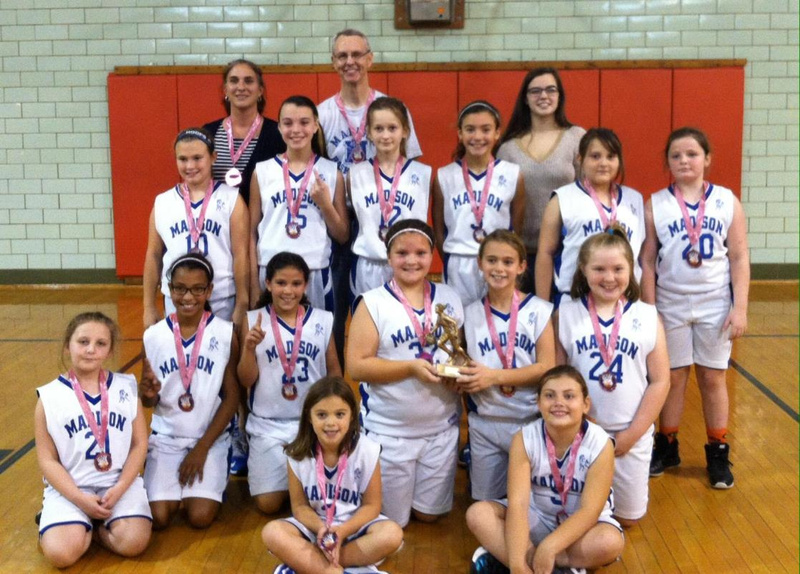 Emerson – Audriana Medina 14, Lauren Flanagan 10, Bailey Ferrebee 7, Ava Delli-Gatti 2. WCC – Emma Murphy 2, Keira Williams 2, Camryn Yoho 6, Kate Florence 4. Vienna – Jadyn Colgrove 10, Shelby Mercer 2, Sophie Lott 6, Meredith Carter 2. Catholic – Adiana Payne 2. Jefferson – Anyiah Spencer 8, Katherine Woicinski 2. Gihon – Kay’Viona Robinson 6, Alyssa VanFossen 2. Criss – Kenslee LeMasters 8, Weethee 3, Rexroad 6. Emerson – Lilly Martinez 1, Brooklyn Miller 2, Ava Delli-Gatti 2, Laouren Flanagan 4, Audriana Medina 3. Fairplains – Emilee Owens 8, Karlie Bradley 4, Madison Stauffer 2. Kanawha – Haley Stull 4, Geneva Whitlatch 4, Jaclynne Welch 4, Rylinn Stull 1. Mineral Wells - Farrah Yost 8, Macy Singer 4, Shyanne Hays 4, Katie Cline 2, Marissa Hendershot 2, Allison Asbury 1. Franklin - Aubri Gibbs 3, Hailey Parrish 2. Worthington - Bryce Smith 16, Ellie Hines 2, Madison Kincaid 2. Martin - Lakota Fluharty 4, Lucie Cline 2, Sarah Barnes 2. Blennerhassett – Ava VanDyke 6, Alexa Inman 2, Caiden Watson 7, Roxie Sprague 3, Hollie Smith 2. Lubeck – Alisha Ramme 8, Emilee Moyers 2, Kyrstin Boso 3, Lillie Hamilton 1. WCC – Keira Williams 2, Emma Shutts 2, Camryn Yoho 4, Kate Florence 2, Ava Dunn 1. McKinley – Jordyn Adams 4, Suzanna Lyons 2, Chyanna Swiger 1.